When I ask my baby-boomer friends where they plan to spend their retirement, I am often surprised by their answers, but then when I do a little research, I can see what draws them to the less-obvious choices they make. 55+ Retirement Communities in Lancaster, PA have become hot commodities with many active retirees. People are no longer automatically picturing themselves in a pastel-colored condominium on the Florida coast when they think about retirement; many are looking instead for quieter, greener, cooler climes with more varied seasons and a small-town feel. 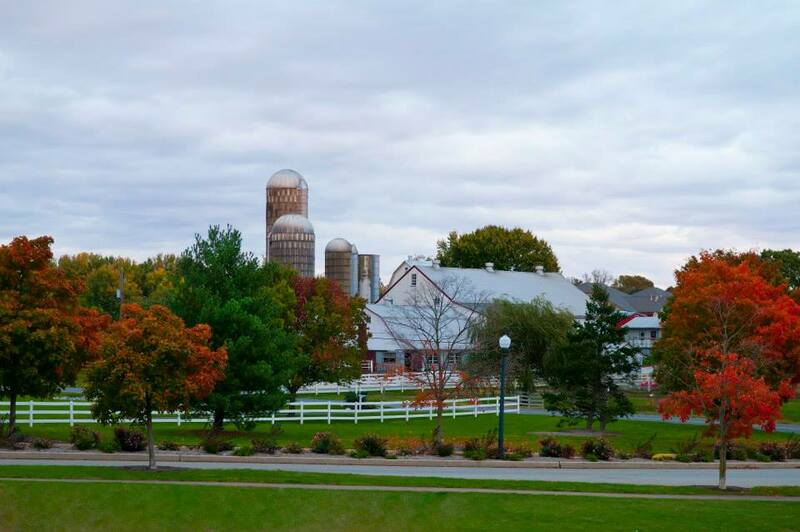 Lancaster County, in south-central Pennsylvania, lies at the heart of Pennsylvania Dutch country. The area brims over with history, folk art, and arts and entertainment that appeal to active adults. In fact, Forbes magazine recently voted Lancaster one of the top ten counties in the nation for retirement. The town of Lancaster itself, with a population of about 60,000 people, offers the sophistication of the city surrounded by a beautiful rural landscape of cornfields, grazing cows, and the horses and buggies of the nearby Amish community, the largest of the Amish communities in the nation. Spread throughout Lancaster County, interspersed among cornfields, barns, silos, and 19th-century covered bridges, are smaller towns and villages, including Ephrata, Strasburg, Landisville, New Holland, and the quaintly named Bird-in-Hand. Retirees in Lancaster County's smaller communities enjoy living at a more relaxed pace, in surroundings that bring to mind a simpler, safer, and quieter era when neighbors visited on porches, people grew the food they ate, and life was filled with hard work and quiet reflection. The town of Ephrata, for example, boasts downtown buildings that have stood since the mid-1800s, old-fashioned street lamps, and quaint, Arts and Crafts-style homes. This quieter lifestyle appeals to many retirees from the larger Northeastern cities, which are weary of the hustle and bustle of the urban scene. In addition to lovely scenery, the cornfields and farmland yield a real bounty of fresh, farm-to-table foods for residents of 55+ Communities in Lancaster, PA. The Central Market in Lancaster is one of the nationâ€™s oldest established marketplaces, having its humble beginnings over 270 years ago. Depending on what is in season, locals can get fresh vegetables like cabbage, broccoli, lettuce, corn, cucumbers, and squash, as well as a wide variety of fruits, cherries, apples, pears, and plums from local orchards. The rural setting of 55+ Retirement Communities in Lancaster, PA also provides a host of opportunities for outdoor recreation. Many active retirees enjoy canoeing, camping, hiking, fishing, and bicycling along the serene country roadways. It's not all cows and corn in Lancaster, either. As I noted earlier, the city of Lancaster itself is a real metropolitan area with a flourishing arts community and many cultural opportunities for boomers who enjoy pastimes that are more sophisticated. The Fulton and American Music Theatres in Lancaster proper, as well as the Sight & Sound Theatre a few miles to the southeast offer performing arts entertainment, and over a dozen art galleries grace Lancaster's Prince Street. Locally owned independent retail shops and boutiques, vintage clothing, jewelry, architectural salvage (antique hardware), folk art, and crafts from the PA Guild of Craftsmen, are also found in abundance in the city. People who tell me they are considering 55+ Retirement Communities in Lancaster, PA are not just singing the praises of the city and surroundings, either. They tell me the location, taxes, cost of living, availability of medical care, and changing seasons also draw them there. For example, Lancaster offers a prime mid-Atlantic location, within two or three hours of New York, Philadelphia, and Washington, D.C.and has its own Amtrak station, to make travel simple. The sales tax in Lancaster is only 6%, and groceries, clothing, and OTC medications are exempt. Social Security benefits and both private and public pensions are exempt from the state income tax, as well. Moreover, many homes in the area are still under $200,000, a great draw when you compare with housing prices in many other popular retirement spots. Presently, there are at least five 55+ Retirement Communities in Lancaster, PA, offering over 6,700 apartments, condominiums, and houses for retirees and many more retirement communities in Pennsylvania and surrounding areas. Some seniors who enjoy the verdant spring, lazy summers, and crisp, colorful autumns may have a second home somewhere warmer for the winter, but if you enjoy white Christmases, the area is wonderful during the colder months as well. Whether retiring to the area full time or splitting seasons with a second home farther south, baby boomers from across the country are flocking to Lancaster.